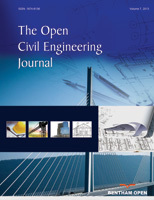 The present work presents experimental and analytical investigation of the effect of steel fiber ratio of behavior of high strength hybrid reinforced concrete deep beams under monotonic and repeated two point load. The experimental work included casting and testing of six deep beams, three of which were tested under monotonic loading (control beams) and other beams were tested under repeated loading at level of 75% of ultimate load of control beams. The effect of different SF ratios (0%,1% and 2%) with constant amount of web reinforcement (pw) were studied in terms of crack patterns, ultimate load and load versus mid span deflection. From the experimental test results, it was observed the percentage increase ultimate load for hybrid beam cast with SF ratio 1% is 9.62% as compared with hybrid beam with SF ratio 0%. Also, the ultimate load for hybrid beam cast with SF ratio 2% is 28.85% as compared with hybrid beam with SF ratio 0% and 17.54% as compared with hybrid beam with SF ratio 1% under monotonic loading. Strut and Tie Model (STM) procedures were used to analyze the experimentally tested hybrid deep beams under monotonic loading of the present investigation. Keywords: Deep beam, Hybrid, Fibrous high strength concrete, Conventional concrete, Strut and tie model, Repeated, Monotonic. © 2018 Hassan and Mhebs.